Today is the final installment in my holistic, healthful, and natural suggestions for acne treatment. Have you been keeping up with Part 1, Part 2, and our article on the link between stress and skin problems? If you have you're armed with a few new ideas to try. On to step 4 to help you prevent and manage acne...4. Moisturize and spot treat with something soothing and anti-inflammatory - not drying!! Here's an important premise even people with acne should remember. With all the products out there to "dry" pimples or that are astringents a lot of overzealous, concerned folks will overtreat and irritate their skin. It's easy to do. Most marketing revolves around oil being blamed as the source of your problem, but as we've discussed it can be interior triggers like hormones, stress, and the foods you eat. Oil isn't always the culprit. Acne is an inflamed situation - the pimple itself is swollen, aggravated, and painful. What it needs more than anything is soothing. One of my primary gripes with Benzoyl Peroxide is that while it can kill acne bacteria it can also really dry and irritate the skin on the pimple and in the immediate surrounding area. So then you've taken a bad situation and made it worse with more irritation to repair. Double whammy! If you can fight bacteria and calm at the same time you'll be in much better shape. Keep your skin supple, hydrated, and calm so it can concentrate on defending itself from bacteria. Your skin is intelligent and responsive to its environment and what you apply to it. If you are drying, drying, drying your skin your skin will begin to think that it is oil deficient and respond by producing even more oil. So what about oil-free moisturizers? It seems like a good deal - theoretically you are getting moisturization without excess oil. You should be aware that many creams marketed as oil-free contain highly synthetic emollients, penetrants, and softening agents like this Oil Free Moisturizer from Alba which contains dimethicone, a silicone which would coat your skin instead of soaking in, and octyl palmitate, a synthetic ester produced from palmitic acid from palm oil that has a silicone-like feel. Octyl palmitate rates a 4 out of 5 as a comedogenic ingredient. Comedogenic means pore-clogging. What on earth are these formulators doing using coating, clogging ingredients when they know that the people most likely to purchase an oil-free product generally have acne problems!?!?! Please for the love of pete skip using this product or its ugly stepsisters that abound all through your local drug and grocery stores. (And really skip the whole Alba brand, which is the pits in terms of actual natural quality and to which I and numerous others I know have had pronounced allergic reactions). In addition to pore clogging synthetics and silicones you're also getting synthetic fragrance and the most watered-down, fake botanical extracts you could ever find in a product. The part that really hurts is that this product might set you back anywhere from $13 to $30. For that much you can have a really good quality, clean natural product that won't cause you even more problems. Keep moving and save your precious funds for something truly beneficial. "Oil-free" moisturizers are one of the dirty little secrets of the mass market skincare world. The way they are constructed and marketed is closely akin to how the food industry created low-fat foods by taking out the fat and pumping in a whole lot of artificial thickeners and sugars to replace the mouthy feel and flavor in products. 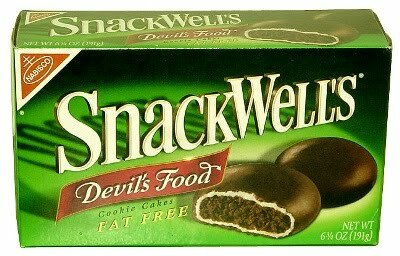 A low fat cookie is no healthier for you - nearly the same calories, no vitamins, no fiber, and loads of flavoring agents and texturizers. But through the magic of marketing they can smack LOW FAT or FAT FREE on the packaging and people feel like they can eat the whole box. Oil-free moisturizers are the Snackwells of the skincare world. It's all slick sales and not actually good for you. There's just no reason to use a bunch of synthetic replacements when real, nutrient rich, botanical oils are GOOD for your skin in the right amounts and also don't clog pores. Plus they come with anti-aging benefits as a hefty bonus. Sorry, Octyl Palmitate and Dimethicone, you can't claim anything close to that. 1. An Aloe gel or herbal serum like Dr. Alkaitis Organic Herbal Toner. The consistency of this lovely product is just perfect. A base of real Aloe Vera and a host of regenerative herbs are a perfect treat to feed and heal. It isn't sticky and though it says "toner" in the title an oily complexion could easily use this product alone to hydrate or in combination with other products. It's amazing and is probably one of my favorite aloe based products I have ever used other than my own line. Aloe Vera has polysaccharides and glycoproteins that short circuit inflammation, moisturize, and stimulate growth and repair. There's nothing about that your skin won't love. DON'T just get any old "aloe gel" product from your local drugstore. Most commercial aloe gels are a faked mixture of aloe's polysaccharide components and not even from the actual plant. They're full of synthetic carbomers, colorants, and preservatives. That is a tragic representation of real aloe juice. To assure you're getting the real thing stick to certified organic aloe. The certification assures traceability back to the field. There's so much organic aloe being grown as well that there is no reason a company shouldn't be using it except to cut costs and potentially shortchange you in the bargain. If you don't have or don't want to invest the dollars in a higher end treatment the best advice is to get a nice hefty aloe plant. Break off a leaf and squeeze every time you want to soothe. Voila! On-demand juice that will leave your face perfectly moist and nourished every time. I have 3 aloe plants for just such purposes.2. Organic Jojoba Oil (with or without a little essential oil)For a simple, affordable moisturizer try Organic Jojoba Oil, and add 3 drops of your choice of essential oil per each oz for added benefit. Organic Jojoba isn't actually a triglyceride oil, it's a liquid wax. It is highly absorbent and similar to skin's sebum structure, making it perfectly compatible with skin. The addition of essential oil discourages bacterial growth. It's readily available through your local health food store or many online beauty resources and very shelf stable, meaning it won't go rancid quickly. Using a small amount of jojoba can condition your skin and help manage sebum production. 3. Lightweight, Balancing MoisturizersInstead of Oil-free try a lightweight moisturizer that contains small amounts of absorbent, nutrient-rich, plant oils. Oils like argan, pumpkin seed, fruit seed oils like grapeseed, blueberry, red raspberry, and cranberry, and exotic lightweight oils like perilla seed oil pack antioxidants, sterols, and vitamins as well as absorbancy. A small amount won't overdo you. Can you actually use a straight facial oil other than just jojoba? The answer is yes depending on the oil blend. Just put a little on your fingertips and pat the residue onto the face. Botanical oils often contain anti-inflammatory compounds that will do your irritations a world of good. For a budget friendly cream moisturizer maybe something like Logona's Clear Skin Moisture Fluid would fit the bill for you. 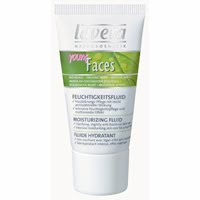 Or perhaps you'll enjoy something from their similarly BDIH Natural Cosmetic certified twin Lavera - their Young Faces Mint Moisturizing Fluid? Both these products use more neutral oils for their bases but the texture is lovely and European BDIH certification ensures that you're getting a truly natural product that is tested and certified to a strict standard. If you can't go organic then BDIH is a great seal to look for. 4. 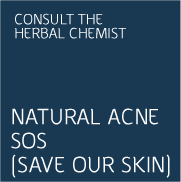 NiacinamideNiacinamide is Vitamin B3 recommended by natural dermatologists for anti-acne benefits. Read more about Niacinamide in this Livestrong.com article. A 1995 study showed that a 4% Niacinamide product had results better than Clindamycin, an antiobiotic. It's benefits include moderating oil production, building collagen, evening coloration, and helping skin retain hydration so you don't end up dry in the middle of the day. It's a winning ingredient all around for fighting acne problems. And yes, I feature Niacinamide in numerous Blissoma moisturizers including Smooth A+ Serum which contains the recommended 4%. 5. HerbsWillowbark for exfoliation, Chamomile, Comfrey, and Calendula for calming, Yarrow for astringency, Fennel to deter bacteria, Gotu Kola, Echinacea, Licorice, and many more. As with anything the quality of the herbs matters. You can get your herbs as extracts in the skincare products you purchase or get loose herbs to make your own infusion for a compress. For a compress dip a clean washcloth in a strong infusion of herbs and water and press it gently to your problem areas. Dip and press again when the washcloth cools. 6. MasksIt's great to have something to apply directly to your problem areas or as a deep cleaning, proactive treatment. A weekly mask is your best answer for a regular routine. Choose something that will offer you a boost and variety of nutrition, perhaps at higher levels than what you use daily. 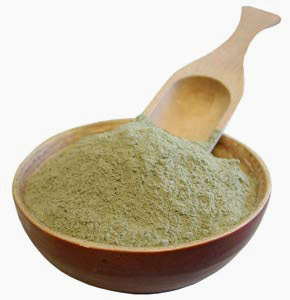 Clays are one of the top choices for oil management, pore cleansing, and overall detoxification. There are a lot of clay mask choices in the naturals community available so experiment and try a few so you can decide what works best for your skin. Some come dry and some come wet. For a preblended dry clay you could try this mask from Anne Marie Gianni Skincare, another Fig+Sage endorsed natural skincare brand also endorsed glowingly by the Glamorganic Goddess. For a wet, creamy, premixed clay mask check out our Refine Clay Renewal Treatment. You can also purchase just straight Kaolin, Pink, Green, or other types of clays and mix them with water for your own DIY mask. Leave a dot of clay mixture directly on a pimple overnight to shrink it. Acid masks and peels are popular for exfoliation and these can be fine used in moderation. If you use them keep it to once a week. Most use fruit acids, glycolic, or lactic acids. Overuse of these can irritate skin so take it easy. Beta-Hydroxy acids like the natural salicylates found in Willow Bark are also a great choice and can be less irritating for some people. 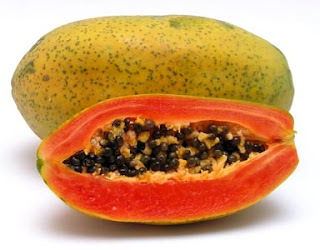 - Mash a Mango and Papaya together and apply to the face. Papaya contains the enzyme papain that will dissolve dead skin cells and exfoliate for you. - Apply raw honey to the face, let sit 15 minutes, and then wash off. Honey is moisturizing and has natural antibacterial qualities. Purchase a certified organic, raw, unrefined honey for full benefits or at the very least something from a local farm. Why? Because in recent food testing it was found that most honey at your grocery store may not really be honey at all. Lack of pollen content in highly refined "honeys" means there is no way to verify that it is truly honey. Local honeys by small family farms all had pollen content, and certified organics will be traceable. Considering this information you might want to change the honey you're eating too! - Use organic, full fat, unflavored Yogurt to deep condition and provide a burst of pro-biotics. Make sure you get organic and unflavored as mass market fruit yogurts mostly contain a lot of sugar, flavorings, artificial color, and preservatives. - Try this recipe for a Chocolate/Avocado/Honey/Green Tea/Oatmeal mask. - A Cucumber/Yogurt/Clay mask might be to your liking and this recipe from The Herb Companion will tell you just how to do it. - Steam your face with herbs for deep pore cleansing, detox, and toning. Use the Chamomile, Peppermint, Rooibos, and Green teas already in your cabinet at home for a steam experience using these directions. There are so many ways to treat your acne-prone skin to botanicals that will help fortify you to fight your inflammations and come out victorious. Treating acne problems holistically looks for the root of the problem in order to provide a long term, safe, and sustainable solution. The best thing is that most changes you can make as part of your holistic acne transformation will benefit your total health as well. There's nothing to lose and everything to gain. What sorts of essential oils would one mix in with the jojoba oil for moisturizing/treatment? I have a really tough time with tea tree oil, as you mentioned in some of your previous posts. Essential oils you could consider for acne detering properties that would be gentler for your skin might be rose geranium, palmarosa, helichrysum, bergamot, lavender, rose (just a tiny, tiny bit! ), and frankincense. Cypress and juniper are sometimes used as well. Bergamot is a Photo sensitizing oil as are most citrus oils. Palmarosa can be an irritant on sensitive skin, and lavender oil can cause cell death. Hello Unknown, Thank you for your comment. It may be that you are not aware that there are Furocoumarin Free versions of Bergamot essential, oil, which removes all the photosensitizing properties from that essential oil. If using FCF Bergamot there are no complications with sun exposure. Additionally, many essential oils can be sensitizers when used improperly or at high concentration. The best way to avoid sensitization is to dilute properly. For facial use 1% or below would be the best concentration, which is very low. At this concentration problems are unlikely, but moreso each person can observe their reactions and change the oils they are using depending on any irritation. Palmarosa is a marvelous antibacterial essential oil and with proper dilution can be safely used by people without pre-existing sensitivities. My presumption is that people are smart enough to notice when their skin experiences any irritation and to cease or change how they are using that material accordingly. Just because one person may be sensitive to something does not make it bad for all people. 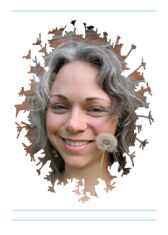 As for the claim you have made about Lavender oil I would refer you to one of the premiere scholars on essential oils, Robert Tisserand, and his article on this claim (which you probably found through Paula the cosmetics cop?) where he debunks this idea that Lavender is harmful completely in great detail with references. He has done such a complete job that there is no need for me to write much more here. Tisserand is one of the most scientifically based sources for essential oil information and instead of using other sources I suggest you check his site first for the most reliable information, as he always provides adequate, research-based support for his opinions, unlike many other sites. Love your answer Julie! Absolutely correct on all accounts! I love palmarosa, it makes for a beautiful skin care EO.